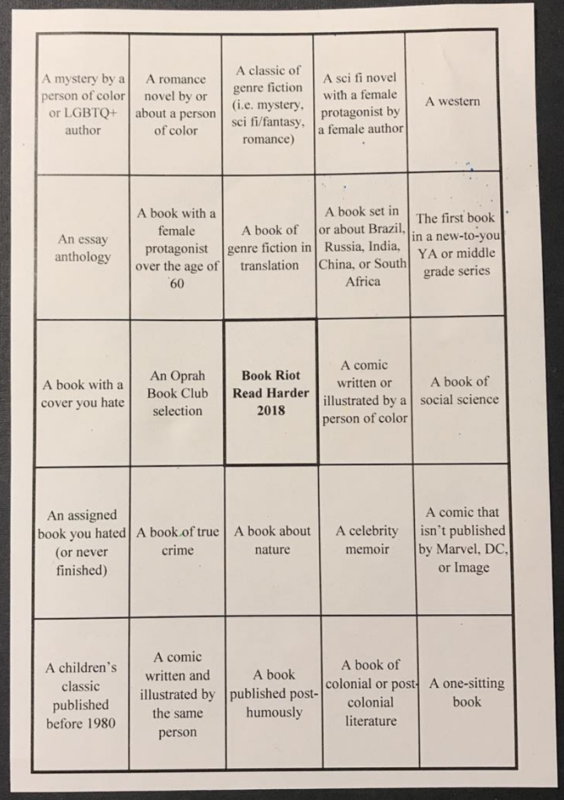 I’m not entirely sure why I decided to make a BINGO card out of the Book Riot 2018 Read Harder Challenge tasks. But I did. I’ve already started tagging books in my GoodReads TBR that could satisfy various tasks. Some of the tasks are going to be pretty easy for me, like “a children’s classic published before 1980”. I’m having difficulty with “an assigned book you hated (or never finished)”. If I really hated an assigned book (and I must have! ), I seem to have repressed all memory of it. The only assigned book that I definitely remember not finishing at the time is Don Quixote, which I’ve since read and don’t really feel a pull to read again just now. The most likely contenders for that task for me would be A Christmas Carol or A Tale of Two Cities, though I don’t think I’d say I hated them. (Hated the class in which I was assigned the latter, yes. But not the book itself.) Something will come up, I’m sure. Someone in the Read Harder group on GoodReads mentioned Maurice as their posthumous publication choice. I’d forgotten that Maurice wasn’t published until well after Forster’s death. I’ve seen the movie, but I haven’t read the book yet. So, there’s that one sorted. Just 23 to go!